Ok Girl-You rocked it out of the park. I love it. And yes, I am the "self proclaimed" bling queen. You used stickles so you are good. thank you for showing your cute projects! Courtney, you are too fabulous! Can I adopt you? LOL! Great work, my friend, and I can't wait to see you on May 1st!! Great projects! Love that paper! Really cute Easter card. Love the colors-- brown and yellow. Thanks for the inspiration. Beautiful card and favor bag Courtney! Just in time for Easter. Thanks for sharing this project with us. Happy Easter! Great projects Court!! I love them!! Cute card and bag! I used those same Easter cuts for my Easter cards. 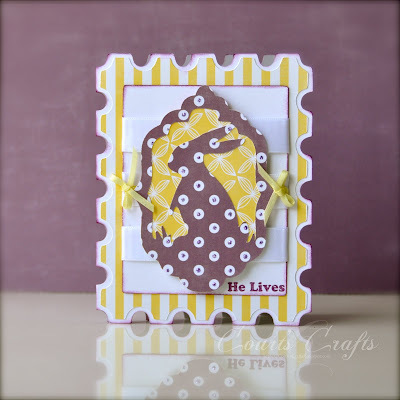 Love your card and the He Lives stamp! We have hope b.c he does live!! Thanks for your projects. What a special Easter card. The purse shaped box is just great. So glad to enjoy your work here on Monique's blog. Thanks for sharing. 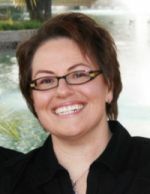 Love your projects, Courtney! Very creative! Courtney, your projects are wonderful. Thank you so much for sharing. Great project to remember He Lives on this Good Friday! Thank you! You have done a great job on the card! Courtney, so nice to see your work with the Oh-So-Wonderful design team at MGD! I had to go to your blog to see what else you had up your sleeve and loved what I saw so I am now a follower and on your email list. Thanks for sharing your great talent! 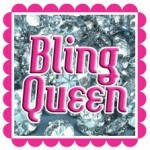 Very cute card, I also like to follow in the footsteps of "the bling queen" and add any kind of bling to everything. I just love it! So cute! Love the little purse! Darling creations! There were so many things this month that I wanted to scraplift but just ran out of time. See you at the Crop for the Cure---I'm one of the lucky ones to get in. 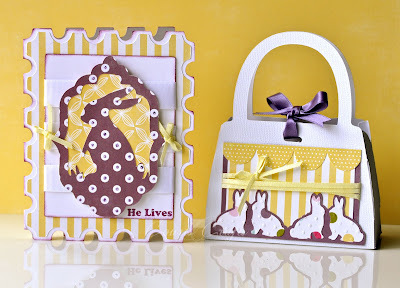 Cute card and purse - good choice of colors used! Great designs Courtney thank for sharing your amazing talent. Love your projects - thanks for sharing them with us. Stickles do "Rock", don't they? Those are beautiful... Love the card!! Awesome work! You are very talented!! I love these projects. I need to pull out my Tags, Bags, & More cartridge and use it more. I feel inspired! What a cute card and bag! Thanks for sharing. Very cute projects. I love the clean look and spring colors! TFS! Glad to have you join the ladies! Thank you for posting something so nice and colorful for Easter. I love them...the colors, the design and the stamp makes it perfect...jmho! TFS! very cute -- love the little Easter box. Very cute card and purse. I wish I had that bags tags and more cart.Oh yes the bling is perfect. Love this card, especially the border around it. So Cute! This is really great. I love the big stamp card. I didn't even know it was on that cart. it's one of those can you find the bunny? LOL sure do think it was very creative and you gals are lucky to have such talented guest designers.